Tapped out? FUHGEDDABOUDIT… Austintown Pawn will help you out. We loan on anything from guitars to cars!! Stop at a traditional locally owned and operated Pawnbroker. We at Austintown Pawn Inc., strive to meet our customer’s satisfaction. After all customers is what makes our business. We have been in business for over 25 years and have an A+ rating with the Better Business Bureau. Our establishment is one of the largest in North Eastern Ohio. All of our management staff has over twelve years experience in the trade. We are proud members of the Ohio Pawnbrokers Association and the National Pawn Brokers Association. We have a vast array of items for sale in our storefront that is constantly changing on a daily basis. Some of the main brands include Makita, Dewalt, Stihl, Husquavarna, Ridgid, Craftsman, Hp, Dell, Samsung, Apple, Vizio, LG, and ect. No matter you are looking for we may have it in stock. Inventory ranges in areas such as digital camera, video games, Xbox One’s, Play Station 4, Laptops, tools, musical equiptments, DVDs, Tvs, computers, cars, boats, recreational equiptment, ereaders, tablets,navigation units, jewelry and much much more. Don’t pay retail stop in and see us. If you are looking for a present for your significant other or even just a close family memeber, or friend. I am sure that you can find something eye catching at Samuel’s Jewelry on the second floor. 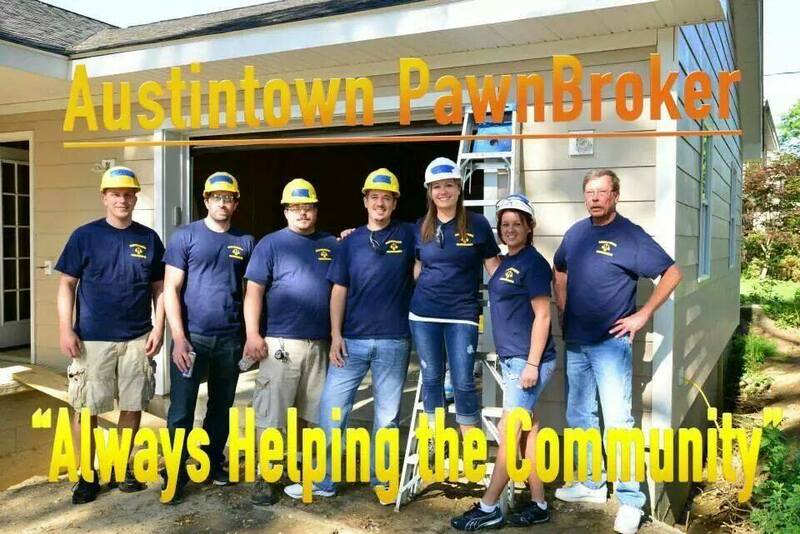 Austintown Pawn Inc. | Powered by Mantra & WordPress.